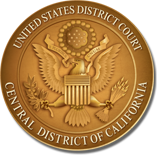 The United States District Court for the Central District of California announces the appointment of Magistrate Judge Suzanne H. Segal as Chief Magistrate Judge, which became effective January 1, 2012. She succeeds Magistrate Judge Stephen J. Hillman, who served as Chief Magistrate Judge from November 2007 to December 2011. The Chief Magistrate Judge serves a four-year term and provides leadership to the Central District of California’s Magistrate Judges. Judge Segal was appointed as a Magistrate Judge for the Central District of California on July 31, 2002, and was reappointed in 2010. Prior to her appointment, she served as an Assistant United States Attorney in the Civil Division, and later as Chief of Civil Appeals, of the United States Attorney’s Office for the Central District of California. Prior to serving at the United States Attorney’s Office, she practiced civil litigation in Los Angeles, first with Adams, Duque & Hazeltine and later with Dewey Ballantine LLP. Judge Segal received her bachelor of arts degree from Claremont McKenna College and her law degree from Cornell Law School. The Central District of California has 24 authorized full-time and one part-time Magistrate Judge positions. The duties of Magistrate Judges include presiding over civil cases by consent of the parties and preliminary proceedings in criminal cases; the trial and disposition of misdemeanor cases; conducting discovery hearings, settlement conferences and various other pretrial hearings in civil cases; and other matters as may be assigned. Magistrate Judges are appointed for a term of eight years, and can be reappointed to additional terms. The Magistrate Judge position requires a minimum of five years as a member in good standing of the bar of the highest court of a state, and at least five years of active practice of law. The rigorous selection process, which is governed by statute and by regulations adopted by the Judicial Conference of the United States, includes detailed background reviews and interviews before a Merit Selection Panel consisting of attorneys and non-attorney public representatives. The Panel refers candidates to the District Court, where interviews are conducted by the District Court’s Magistrate Judges Committee. The top candidates are then referred to the full Court for review, selection, and appointment. The Central District of California is comprised of the counties of Los Angeles, Orange, Riverside, San Bernardino, Ventura, Santa Barbara, and San Luis Obispo, and serves approximately 18.5 million people – roughly half the population of the state of California. In 2011, more than 16,000 cases were filed in the District.